Many Christians and almost all non-Christians have little familiarity with the two thousand year theological history of the Catholic Church, which is married to the political history and this lack of information, impairs their understanding of the present. Every time Pope Francis makes headlines, by making some liberal remarks about Jews, Muslims or atheists, they cannot appreciate these in the fullest context. This article aims at remedying this situation to a small degree. The first seven Ecumenical Councils, recognized by both the eastern and western branches of Chalcedonian Christianity, were convoked by Christian Roman Emperors, who also enforced the decisions of those councils within the state church of the Roman Empire. Traditionally, Christianity has defined itself, by defining the opposite, by out-lawing and excluding heresies. Second Council 381 CE Nicene Creed and Divintiy of the Holy Ghost Arianism, Macedonianism and Apollinarianism. Sixth Council 681CE Defining two wills of Jesus, human and divine Monoenergism and Monothelitism. It anathematizedUnitarians priests like Sergius, Pyrrhus, Paul, Macarius. Seventh Council 787 CE Worship of icons Jews, Saracens, and Manicheans. This table is not an exhaustive depiction of these Councils, only what was most important from the author’s perspective. This article is lengthy and may be boring to some, but this lengthy two thousand year history is precisely the reason, why the message that Jesus, may peace be on him, delivered to the Israelites, is lost to the modern world, as the vision of the common man is entangled in centuries of political, religious and theological wrangling. Additionally, my thesis may not be immediately obvious to the devout Christians, but, it is likely to make good sense to the Jews, the Muslims, the Unitarian Christians and those who grew up as Christians and now are unaffiliated, comprising up to half of Europe’s population and 20-25% of the population of Canada and USA. Any reader who is not interested in the precise details, could skim through some of the Ecumenical Councils to my final heading of Epilogue. I have collected the necessary details about the first seven Ecumenical Councils, Council of Trent and Second Vatican Council, from different encyclopedic sources. The First Council of Nicaea was a council of Christian bishops convened in Nicaea in Bithynia by the Roman Emperor Constantine I in AD 325. This first ecumenical council was the first effort to attain consensus in the church through an assembly representing all of Christendom. The first Nicene Council was probably held in what would become the now ruined mosque of Orchan. The Nicene creed, defining the Triune understanding of God, was derived from the First Council and was forced into public consciousness by Law and Arius was labeled as heretic, an outcast, someone officially condemned. Arius (Ancient Greek: Ἄρειος, AD 250 or 256–336) was an ascetic North African Christian presbyter and priest in Alexandria, Egypt, of the church of Baucalis, who was of Libyan origins. His teachings about the nature of the Godhead, which emphasized the Father’s divinity over the Son, and his opposition to Trinitarian Christology, made him a primary topic of the First Council of Nicea, convened by Roman Emperor Constantine in AD 325. After Emperor Licinius and Emperor Constantine legalized and formalized the Christianity of the time in the Roman Empire, the newly recognized catholic Church sought to unify and clarify its theology. Trinitarian Christians, including Athanasius, used Arius and Arianism as epithets to describe those who disagreed with their doctrine of co-equal Trinitarianism, a Christology representing God the Father and Son (Jesus of Nazareth) as “of one essence” (consubstantial) and coeternal. Although virtually all positive writings on Arius’ theology have been suppressed or destroyed, negative writings describe Arius’ theology as one in which there was a time before the Son of God, when only God the Father existed. Despite concerted opposition, ‘Arian’, or nontrinitarian Christian churches persisted throughout Europe, the Middle East, and North Africa, and also in various Gothic and Germanic kingdoms, until suppressed by military conquest or voluntary royal conversion between the fifth and seventh centuries. The Second Ecumenical Council also known as the First Council of Constantinople was a council of Christian bishops convened in Constantinople (present-day Istanbul in Turkey) in AD 381 by the Roman Emperor Theodosius I. This second ecumenical council, an effort to attain consensus in the church through an assembly representing all of Christendom, confirmed the Nicene Creed, expanding the doctrine thereof to produce the Niceno–Constantinopolitan Creed, and dealt with sundry other matters. It met from May to July 381 in the Church of Hagia Irene and was affirmed as ecumenical in 451 at the Council of Chalcedon. The Council of Nicaea in 325 had not ended the Arian controversy which it had been called to clarify. By 327, Emperor Constantine I had begun to regret the decisions that had been made at the Nicene Council. He granted amnesty to the Arian leaders and exiled Athanasius because of Eusebius of Nicomedia. Even during numerous exiles, Athanasius continued to be a vigorous defender of Nicene Christianity against Arianism. Athanasius famously said “Athanasius against the world”. The Cappadocian Fathers also took up the torch; their Trinitarian discourse was influential in the council at Constantinople. The Trinity had been recognized at the Council of Nicea, but debate about exactly what it meant continued. A rival to the more common belief that Jesus Christ had two natures wasmonophysitism (“one nature”), the doctrine that Christ had only one nature. Apollinarism and Eutychianism were two forms of monophysitism. Apollinaris’ rejection of Christ having a human mind was considered an over-reaction to Arianism and its teaching that Christ was not God. Theodoret charged Apollinaris with confounding the persons of the Godhead, and with giving into the heretical ways of Sabellius. Basil of Caesarea accused him of abandoning the literal sense of the scripture, and taking up wholly with the allegorical sense. His views were condemned in a Synod at Alexandria, under Athanasius of Alexandria, in 362, and later subdivided into several different heresies, the main ones of which were the Polemians and the Antidicomarianites. Up until about 360, theological debates mainly dealt with the divinity of the Son, the second person of the Trinity. However, because the Council of Nicaea had not clarified the divinity of the Holy Spirit, the third person of the Trinity, it became a topic of debate. The Macedonians denied the divinity of the Holy Spirit. This was also known as Pneumatomachianism. Not to talk about the non-Christians, these Ecumenical Councils did not even allow different shades of Christianity. Seven canons, four of these doctrinal canons and three disciplinary canons, are attributed to the Second Council and accepted by both the Eastern Orthodox Church and the Oriental Orthodox Churches; the Roman Catholic Church accepts only the first four. The first canon is an important dogmatic condemnation of all shades of Arianism, and also of Macedonianism and Apollinarianism. This third ecumenical council, an effort to attain consensus in the church through an assembly representing all of Christendom, confirmed the original Nicene Creed , and condemned the teachings of Nestorius, Patriarch of Constantinople that Virgin Mary may be called the Christotokos, “Birth Giver of Christ” but not the Theotokos, “Birth Giver of God”. It met in June and July 431 at the Church of Mary in Ephesus in Anatolia. Nestorius’ doctrine, Nestorianism, which emphasized the disunity between Christ’s human and divine natures, had brought him into conflict with other church leaders, most notably Cyril, Patriarch of Alexandria. Nestorius himself had requested that the Emperor convene council, hoping to prove his orthodoxy, but in the end his teachings were condemned by the council asheresy. The council declared Mary as Theotokos (God-bearer). Nestorius’ dispute with Cyril had led the latter to seek validation from Pope Celestine I, who authorized Cyril to request that Nestorius recant his position or face excommunication. Nestorius pleaded with the Eastern Roman Emperor Theodosius II to call a council in which all grievances could be aired, hoping that he would be vindicated and Cyril condemned. In 431 Pope Celestine I commissioned Cyril, patriarch of Alexandria, to conduct proceedings against Nestorius, his longtime adversary, whose doctrine of two Persons in Christ the Pope had previously condemned. When the Eastern bishops (more sympathetic to Nestorius) arrived and learned that the council summoned by Emperor Theodosius II had been started without them, they set up a rival synod under John of Antioch and excommunicated Memnon, bishop of Ephesus, along with Cyril. When Pope Celestine pronounced his excommunication of Nestorius and ratified his deposition as bishop of Constantinople, the Emperor abandoned his neutral position and sided with Cyril. Perhaps as a rebuke to the rebels, the council also made the Church of Cyprus independent of the see of Antioch. This Council transcended what today we will call biology and declared a pious Israelite lady, mother Mary, to be “mother of God.” From now on human and divine could co-exist in the mind of Triniarian Christians. They would no longer be able to understand the simple logic that humans, rocks and apples are different things. An apple cannot be a rock at the same time. To read more about mother Mary, Mary or Maria: Mother of a Jewish Prophet or Mother of God? The Council of Chalcedon was a church council held from October 8 to November 1, AD 451, at Chalcedon (a city of Bithynia in Asia Minor), on the Asian side of the Bosporus, known in modern times as Kadıköy in Istanbul, although it was then separate from Constantinople. It is referred to as the Fourth Ecumenical Council. The council marked a significant turning point in the Christological debates that led to the separation of the church of the Western Roman Empire in the 5th century. It is the last council which many Anglicans and most Protestants consider ecumenical. The Council of Chalcedon was convened by Emperor Marcian, with the reluctant approval of Pope Leo the Great, to set aside the 449 Second Council of Ephesus which would become known as the “Latrocinium” or “Robber Council”. The Council of Chalcedon issued the ‘Chalcedonian Definition,’ which repudiated the notion of a single nature in Christ, and declared that he has two natures in one person and hypostasis; it also insisted on the completeness of his two natures: Godhead and manhood. In essence, this Council was insisting, for Jesus, what in modern psychological parlor will be called multiple personalities. The most well known Church which did not go along with the Council of Chalcedon is the Coptic Church in Egypt. The Copts are one of the oldest Christian communities in the Middle East. Although integrated in the larger Egyptian nation, the Copts have survived as a distinct religious community forming around 10–20% of the population, though estimates vary. They pride themselves on the apostolicity of the Egyptian Church whose founder was the first in an unbroken chain of patriarchs. The main body for 16 centuries has been out of communion with both the Roman Catholic Church (in Rome) and the various Eastern orthodox churches. Their understanding of Jesus is that he had only one single nature. Monophysitism or Miaphysitism (Greek: monos meaning “only, single” and physis meaning “nature”), is the Christological position that, after the union of the divine and the human in the historical Incarnation, Jesus Christ, as the incarnation of the eternal Son or Word (Logos) of God, had only a single “nature” which was either divine or a synthesis of divine and human. Monophysitism is contrasted to dyophysitism (or dia-, dio-, or duophysitism) which maintains that Christ maintained two natures, one divine and one human, after the Incarnation. The vast majority of Christians nowadays belong to the so-called “Chalcedonian” churches. i.e. the Roman Catholic, Eastern Orthodox, and traditional Protestant churches (those that accept at least the first four Ecumenical Councils); these churches have always considered monophysitism to be heretical. The Second Council of Constantinople is the fifth of the first seven ecumenical councils recognized as such by both West and East Orthodox, Catholics, and Old Catholics unanimously recognize it. Protestant opinions and recognition of it are varied. Traditional Protestants such as Reformed and Lutheran recognize the first four councils, whereas most High Church Anglicans accept all seven. Constantinople II was convoked by Byzantine Emperor Justinian I under the presidency of Patriarch Eutychius of Constantinople and was held from 5 May to 2 June 553. Participants were overwhelmingly Eastern bishops; sixteen Western bishops were present (including those from Illyricum). The main work of the council was to confirm the condemnation issued by edict in 551 by the Emperor Justinian against the Three Chapters(cf. Three Chapters controversy and Three Chapters schism). The “Three Chapters” were, one, both the person and writings of Theodore of Mopsuestia (d. 428), two, the attacks on Cyril of Alexandria and the First Council of Ephesus written by Theodoret of Cyrrhus (d. c. 466), and three, the attacks on Cyril and Ephesus by Ibas of Edessa (d. 457). The purpose of the condemnation was to make plain that the Imperial, Chalcedonian (that is, recognizing the hypostatic union of Christ as two natures, one divine and one human, united in one person with neither confusion nor division) Church was firmly opposed to all those who had either inspired or assisted Nestorius, the eponymous heresiarch of Nestorianism—the proposition that the Christ and Jesus were two separate persons loosely conjoined, somewhat akin to adoptionism, and that the Virgin Mary could not be called the Mother of God (Gk.theotokos) but only the mother of Christ (Gk. Christotokos)—which was condemned at the earlier ecumenical council of Ephesus in 431. Justinian hoped that this would contribute to a reunion between the Chalcedonians and monophysites in the eastern provinces of the Empire; various attempts at reconciliation between the monophysite and orthodox parties were made by many emperors over the four centuries following the Council of Ephesus, none of them succeeding, and some, attempts at reconciliation, such as this—the condemnation of the Three Chapters—causing further schisms and heresies to arise in the process, such as the aforementioned schism of the Three Chapters, and the heresies of monoenergism and monotheletism—the propositions, respectively, that Christ had only one function, operation, or energy (purposefully formulated in an equivocal and vague manner, and promulgated between 610 and 622 by the Emperor Heraclius under the advisement of Patriarch Sergius I of Constantinople) and that Christ only had one will (promulgated in 638 by the same). Council of Constantinople, (553), the fifth ecumenical council of the Christian church, meeting under the presidency of Eutychius, patriarch of Constantinople. Pope Vigilius of Rome, who had been summoned to Constantinople, opposed the council and took sanctuary in a church from May to December, but he at last yielded and formally ratified the verdicts of the council on Feb. 23, 554. The 14 anathemas issued by the council rejected Nestorianism by insisting yet further upon the unity of the person of Christ in his two natures, divine and human. The only other important act of the council was to ratify an earlier condemnation of Origen. The Western church, devoted as it was to the acts of the Council of Chalcedon, could not bring itself to accept the decrees of the council of 553, even though the pope had accepted them. In Africa, imperial troops were able to force acceptance. For his dignified protest Vigilius thereupon suffered various personal indignities at the hands of the civil authority and nearly lost his life; he retired finally to Chalcedon, in the very church of St. Euphemia where the great council had been held, whence he informed the Christian world of the state of affairs. Soon the Oriental bishops sought reconciliation with him, induced him to return to the city, and withdrew all that had hitherto been done against the Three Chapters; the new patriarch, Eutychius,successor to Mennas, whose weakness and subserviency were the immediate cause of all this violence and confusion, presented (6 Jan., 5530 his professor of faith to Vigilius and, in union with other Oriental bishops, urged the calling of a general councilunder the presidency of the pope. Vigilius was willing, but proposed that it should be held either in Italy or in Sicily, in order to secure the attendance of Western bishops. To this Justinian would not agree, but proposed, instead, a kind of commission made up of delegates from each of the great patriarchates; Vigilius suggested that an equal number be chosen from the East and theWest; but this was not acceptable to the emperor, who thereupon opened the council by his own authority on the date and in the manner mentioned above. Vigilius refused to participate, not only on account of the overwhelming proportion of Orientalbishops, but also from fear of violence; moreover, none of his predecessors had ever taken part personally in an Orientalcouncil. To this decision he was faithful, though he expressed his willingness to give an independent judgment on the matters at issue. Eight sessions were held, the result of which was the final condemnation of the Three Chapters by the 165 bishopspresent at the last session (2 June, 553), in fourteen anathematisms similar to the thirteen previously issued by Justinian. In the meantime Vigilius had sent to the emperor (14 May) a document known as the first “Constitutum” (Mansi, IX, 61-106), signed by himself and sixteen, mostly Western, bishops, in which sixteen heretical propositions of Theodore of Mopsuestia were condemned, and, in five anathematisms, his Christological teachings repudiated; it was forbidden, however, to condemn hisperson, or to proceed further in condemnation of the writings or the person of Theodoret, or of the letter of Ibas. It seemed indeed, under the circumstances, no easy task to denounce fittingly the certain errors of the great Antiochene theologian and his followers and yet uphold the reputation and authority of the Council of Chalcedon, which had been content with obtaining the essentials of submission from all sympathizers with Nestorius, but for that very reason had never been forgiven by theMonophysite opponents of Nestorius and his heresy, who were now in league with the numerous enemies of Origen, and until the death (548) of Theodora had enjoyed the support of that influential empress. The decisions of the council were executed with a violence in keeping with its conduct, though the ardently hoped-for reconciliation of the Monophysites did not follow. Vigilius, together with other opponents of the imperial will, as registered by the subservient court-prelates, seems to have been banished (Hefele, II, 905), together with the faithful bishops andecclesiastics of his suite, either to Upper Egypt or to an island in the Propontis. Already in the seventh session of the councilJustinian caused the name of Vigilius to be stricken from the diptychs, without prejudice, however, it was said, to communionwith the Apostolic See. Soon the Roman clergy and people, now freed by Narses from the Gothic yoke, requested the emperor to permit the return of the pope, which Justinian agreed to on condition that Vigilius would recognize the late council. ThisVigilius finally agreed to do, and in two documents (a letter to Eutychius of Constantinople, 8 Dec., 553, and a second “Constitutum” of 23 Feb., 554, probably addressed to the Western episcopate) condemned, at last, the Three Chapters (Mansi, IX, 424-20, 457-88; cf. Hefele, II, 905-11), independently, however, and without mention of the council. His opposition had never been based on doctrinal grounds but on the decency and opportuneness of the measures proposed, the wrongful imperialviolence, and a delicate fear of injury to the authority of the Council of Chalcedon, especially in the West. Here, indeed, despite the additional recognition of it by Pelagius I (555-60), the Fifth General Council only gradually acquired in public opinion anecumenical character. In Northern Italy the ecclesiastical provinces of Milan and Aquileia broke off communion with theApostolic See; the former yielding only towards the end of the sixth century, whereas the latter (Aquileia-Grado) protracted its resistance to about 700 (Hefele, op. cit., II, 911-27). (For an equitable appreciation of the conduct of Vigilius see, besides the article VIGILIUS, the judgment of Bois, in Dict. de théol. cath., II, 1238-39.) The pope was always correct as to the doctrineinvolved, and yielded, for the sake of peace, only when he was satisfied that there was no fear for the authority of Chalcedon, which he at first, with the entire West, deemed in peril from the machinations of the Monophysites. This Council also highlights that often the Emperors and Popes were at odds with each other and what the Christian doctrines today are what succeeded in the realm of politics over the centuries, rather than what was revealed by All-Knowing God to His prophets. The Muslim readers would best remember this Council in relation to Emperor Heraclius. He was a contemporary of the Holy Prophet Muhammad and the Holy Quran actually prophesied his victory over the Persians in the Sura named Rome. This Council could be understood as pertaining to his efforts to unify Christianity, which had become divided, since the Fourth Council or the Council of Chalcedon, in relation to nature of Jesus, may peace be on him. The Third Council of Constantinople, counted as the Sixth Ecumenical Council by the Orthodox Church, the Catholic Church and other Christian groups, met in 680/681 and condemned monoenergism and monothelitism as heretical and defined Jesus Christ as having two energies and two wills (divine and human). Just like the Fourth Ecumenical Council, this Council was once again insisting, for Jesus, what in modern psychological parlor will be called multiple personalities. The Council settled a set of theological controversies that go back to the sixth century but had intensified under the Emperors Heraclius (610–641) and Constans II (641–668). Heraclius had set out to recover much of the part of his Empire lost to the Persians and had attempted to bridge the controversy with Monophysitism, which was particularly strong in Syria and Egypt, by proposing a moderate theological position that had as good support in the tradition as any other. The result was first monoenergism, i.e. that Christ, though existing in two natures, had one energy (divine and human), the second was monothelitism, i.e. that Christ had one will (that is, that there was no opposition in Christ between his human and divine volition). This doctrine was accepted in most of the Byzantine world, but was opposed at Jerusalem and at Rome and started a controversy that persisted even after the loss of the reconquered provinces and the death of Heraclius. When Heraclius’ grandson Constans II took the throne, he saw the controversy as threatening the stability of the Empire and attempted to silence discussion, by outlawing speaking either in favor or against the doctrine. The Second Council of Nicaea is recognized as the seventh of the first seven ecumenical councils by both West and East. Orthodox,Catholics, and Old Catholics unanimously recognize it; Protestant opinions on it are varied. It met in AD 787 in Nicaea (site of the First Council of Nicaea; present-day İznik in Turkey) to restore the use and veneration of icons (or, holy images), which had been suppressed by imperial edict inside the Byzantine Empire during the reign of Leo III (717–741). His son,Constantine V (741–775), had held the Council of Hieria to make the suppression official. The veneration of icons had been banned by Byzantine Emperor Constantine V and supported by his Council of Hieria (754 AD), which had described itself as the seventh ecumenical council. The Council of Hieria was overturned by the Second Council of Nicaea only 33 years later, and has also been rejected by Catholic and Orthodox churches, since none of the five major patriarchs were represented. The emperor’s vigorous enforcement of the ban included persecution of those who worshiped icons and monks in general. There were also political overtones to the persecution—images of emperors were still allowed by Constantine, which some opponents saw as an attempt to give wider authority to imperial power than to the saints and bishops. Constantine’s iconoclastic tendencies were shared by Constantine’s son, Leo IV. After the latter’s early death, his widow, Irene of Athens, as regent for her son, began its restoration, moved thereto by personal inclination and political considerations. In 784 the imperial secretary Patriarch Tarasius was appointed successor to the Patriarch Paul IV—he accepted on the condition thatintercommunion with the other churches should be reestablished; that is, that the images should be restored. However, a council, claiming to be ecumenical, had abolished the veneration of icons, so psychologically another ecumenical council was necessary for its restoration. Pope Adrian I was invited to participate, and gladly accepted. However, the invitation intended for the oriental patriarchs could not even be delivered to them. The Roman legates were an archbishop and an abbot, both named Peter. In 786, the council met in the Church of the Holy Apostles in Constantinople. However, soldiers in collusion with the opposition entered the church, and broke up the assembly. As a result, the government resorted to a stratagem. Under the pretext of a campaign, the iconoclastic bodyguard was sent away from the capital — disarmed and disbanded. The council was again summoned to meet, this time in Nicaea, since Constantinople was still distrusted. The council assembled on September 24, 787 at the church of Hagia Sophia. It numbered about 350 members; 308 bishops or their representatives signed. Tarasius presided, and seven sessions were held in Nicaea. First Session (September 24, 787) — Three bishops, Basilius of Ancyra, Theodore of Myra, and Theodosius of Amorium begged for pardon for the heresy of iconoclasm. Second Session (September 26, 787) — Papal legates read the letters of Pope Hadrian I asking for agreement with veneration of images, to which question the bishops of the council answered: “We follow, we receive, we admit”. Third Session (September 28, 787) — Other bishops having made their abjuration, were received into the council. Fourth Session (October 1, 787) — Proof of the lawfulness of the veneration of icons was drawn from Exodus 25:19 sqq. ; Numbers 7:89; Hebrews 9:5 sqq. ; Ezekiel 41:18, and Genesis 31:34, but especially from a series of passages of the Church Fathers; the authority of the latter was decisive. Fifth Session (October 4, 787) — It was claimed that the iconoclast heresy came originally from Jews, Saracens, and Manicheans. Sixth Session (October 6, 787) — The definition of the pseudo-Seventh council (754) was read and condemned. 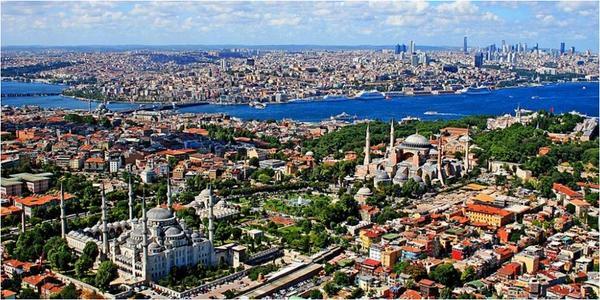 Eighth Session (October 23, 787) — The last session was held in Constantinople at the Magnaura Palace. The Empress Irene and her son were present and they signed the document. Council of Trent, 19th ecumenical council of the Roman Catholic church (1545–63), highly important for its sweeping decrees on self-reform and for its dogmatic definitions that clarified virtually every doctrine contested by the Protestants. Despite internal strife, external dangers, and two lengthy interruptions, the council played a vital role in revitalizing the Roman Catholic church in many parts of Europe. Though Germany demanded a general council following the excommunication of the German Reformationleader Martin Luther, Pope Clement VII held back for fear of renewed attacks on his supremacy. France, too, preferred inaction, afraid of increasing German power. Clement’s successor, Paul III, however, was convinced that Christian unity and effective church reform could come only through a council. After his first attempts were frustrated, he convoked a council at Trent (northern Italy), which opened on Dec. 13, 1545. TheNiceno-Constantinopolitan Creed was accepted as the basis of Catholic faith; the canon of Old and New Testament books was definitely fixed; tradition was accepted as a source of faith; the Latin Vulgate was declared adequate for doctrinal proofs; the number of sacraments was fixed at seven; and the nature and consequences of original sin were defined. After months of intense debate, the council ruled against Luther’s doctrine of justification by faith alone: man, the council said, was inwardly justified by cooperating with divine grace that God bestows gratuitously. As the Council still emphasized Original Sin, there was no salvation, without the vicarious atonement of Jesus Christ. If we look at the Ecumenical Councils, which have defined Christianity over the centuries, they were all about defining the Christian dogma and hence heresy, the polar opposite of the “orthodox,” doctrine or dogma, until Vatican II 1962-1965 CE. The Second Vatican Council (Latin: Concilium Oecumenicum Vaticanum Secundum or informally known as Vatican II) addressed relations between the Roman Catholic Church and the modern world, in the aftermath of World War II, including the holocaust. It was the twenty-first Ecumenical Council of the Catholic Church and the second to be held at Saint Peter’s Basilica in the Vatican. The council, through the Holy See, formally opened under the pontificate of Pope John XXIII on 11 October 1962 and closed under Pope Paul VI on the Feast of the Immaculate Conception in 1965. Now, if we look at the current affairs in the so called Muslim countries, we find intellectual coercion in one form or the other in blasphemy laws, claims against apostasy and Malaysian claim to monopolize the very word “Allah,” for the Muslims, as defined by the Malaysian Law. This, however, was not so at the very roots of Islam, as the Quran defines it as one of the Abrahamic faiths. The Church seemed to be following this Quranic theme, in the final session of the Vatican II in 1965 CE. It had come a long way, judging by the previous twenty Ecumenical Councils. One of the sixteen documents from 1965 was Nostra Aetate, which stated that the Jews of the time of Christ, taken indiscriminately, and all Jews today are no more responsible for the death of Christ than Christians. True, the Jewish authorities and those who followed their lead pressed for the death of Christ; still, what happened in His passion cannot be charged against all the Jews, without distinction, then alive, nor against the Jews of today. Although the Church is the new people of God, the Jews should not be presented as rejected or accursed by God, as if this followed from the Holy Scriptures. All should see to it, then, that in catechetical work or in the preaching of the word of God they do not teach anything that does not conform to the truth of the Gospel and the spirit of Christ. Furthermore, in her rejection of every persecution against any man, the Church, mindful of the patrimony she shares with the Jews and moved not by political reasons but by the Gospel’s spiritual love, decries hatred, persecutions, displays of anti-Semitism, directed against Jews at any time and by anyone. By the time, in Christian history, we travel from Nicene Council in 325 CE to 1965 CE, coercion has changed into more liberal views. The Vatican II Council, which teaches “God uses other Christian churches and non Christian religions in offering salvation to all human kind: The Catholic Church is not the only means of salvation,” is completely at odds with the previous twenty Councils, as regards the ideas of religious freedom. Time had changed Christianity. It had changed it into Islam, after the horrors of the World War II. Indeed, imitation is the best form of flattery.